CANCELLED due to Trail Conditions: Trail Love: New Trail Construction! Who doesn’t love a new trail opportunity? 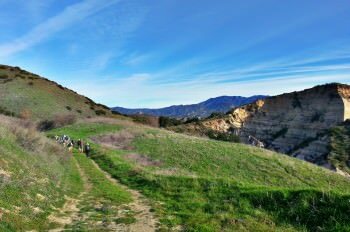 The new singletrack Overlook Trail will be located in Weir Canyon and will and pass through grassland, coastal sage scrub, rocky outcroppings and oak woodlands. 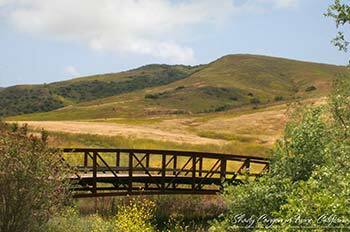 It will climb and traverse a ridge line offering sweeping views of the mountains, Orange County and the ocean. This will offer a unique experience for trail users and we need your help to make it a reality! The initial cut for this trail will be done with machines but many hands are needed to finish the tread and restore the edges. Our main task will be to use rakes and McLeods to shape and compact the tread but we may also use pick mattocks and hand saws to do some vertical mulching to define certain sections. No previous trail work experience necessary, just a desire to work outdoors and get dirty! Tools, gloves & light snacks will be provided. Please wear sturdy work shoes or boots, sun protection & a hat. A small backpack is handy to carry water, gloves & snacks. Reviewing the 1-through-5 Difficulty Ratings will help you evaluate your readiness to participate in this level-4 activity on the land that will involve up to 2 miles of hiking carrying hand tools.